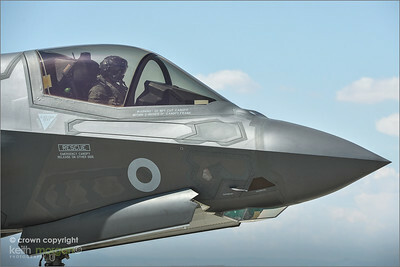 A UK F-35B from Edwards Air Force Base, California. 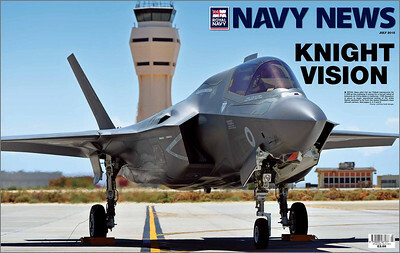 The UK's new F-35B Lightning at Edwards Air Force Base, California. 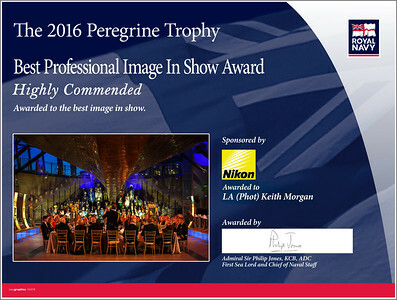 Highly Commended prize in the 2016 Peregrine Trophy. 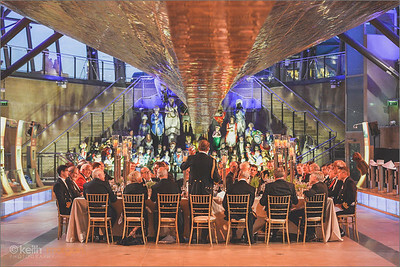 An Honorary Officer's Dinner onboard the Cutty Sark in Greenwich London. 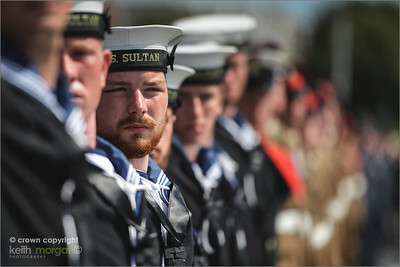 Fleet Review to celebrate the Bicentenary of the Royal Yacht Squadron, 200 years since the inaugural meeting at the Thatched Tavern. 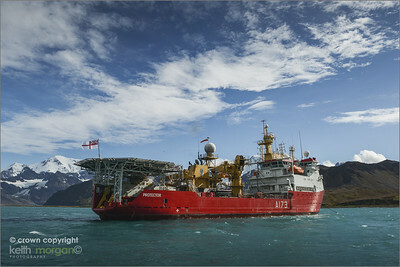 The Royal Navy's Antarctic Survey Vessel HMS Protector arrived in Grytviken, South Georgia. The centenary of the First World War on 4th August, 2014 in Folkestone, Kent. 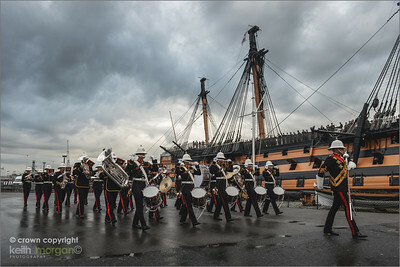 26 Delegates from across Europe and the rest of the World head to HMS Victory for conference and Beating Retreat. Portsmouth-based warship HMS Iron Duke left her home port of Portsmouth today (Friday June 20) for a routine deployment across the Atlantic where she will be visiting various far-flung destinations in all seasons in both northern and southern hemispheres – enjoying summer and winter in the space of three months. 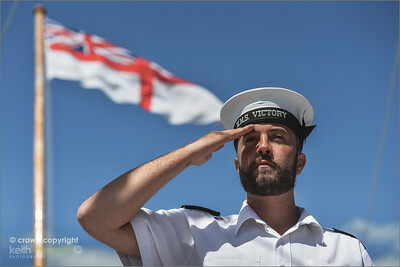 Armed Forces Day photos onboard HMS Victory. 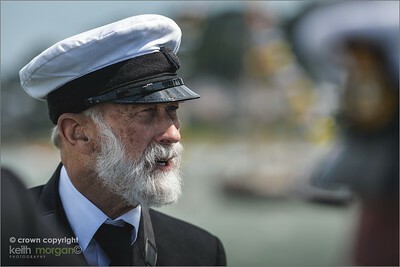 Photos taken of AB(AWW) (Above Water Warfare) Gordie Stirling. 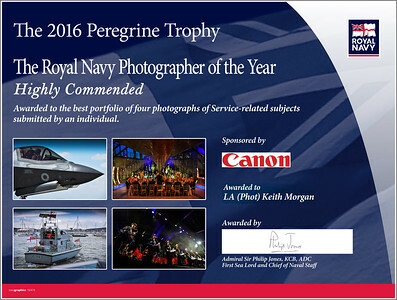 HMS St Albans visit to London for regional engagement activities. 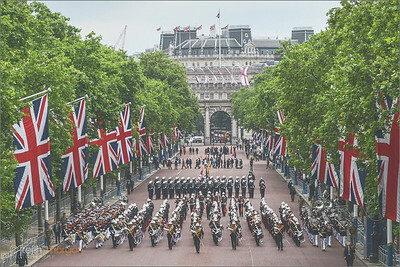 As part of a year of celebrations marking their 350th anniversary, the Royal Marines, along with their colleagues from the United States and the Netherlands, will put on the largest ever Beating Retreat, at Horse Guards parade ground in London, on 3-4 June. 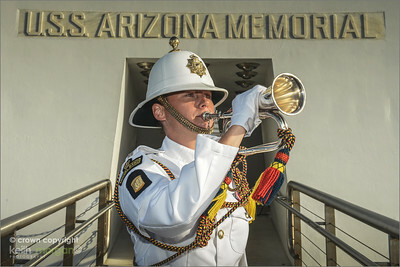 The event will see a total of approximately 490 ranks on parade and will mark the first time that the bands from all three nations have performed together on British soil. 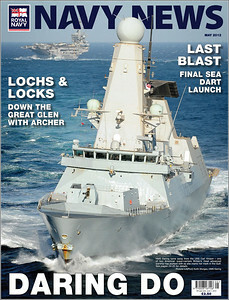 HMS Daring visited the Hawaiian island of Ouhi. On the 15th November 2013, HMS Daring's Lynx was launched to conduct recce's of affected areas from the recent Typhoon Haiyan in the Philippines. As announced by the Prime Minister in Mansion Speech House Royal Navy warship HMS Daring is on her way to assist the Philippines after the country suffered crippling devastation during Typhoon Haiyan. The Type 45 destroyer had just begun Exercise Bersama Lima - a high profile war game with New Zealand, Australia, Malaysia and Singapore as part of the Five Powers Defence Arrangement when she was rapidly re-tasked with the humanitarian relief effort. HMS Daring, which was in the South China Sea as part of the exercise, immediately changed course to head for the stricken state where more than 10,000 people are believed dead. It is estimated she will arrive at the Philippines in three days' time. Today 6th December 2013 the Type 45 Destroyer HMS Daring has arrived in Pusan, Korea following a successful visit to Tokyo, Japan. 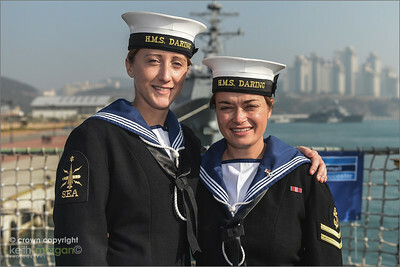 HMS Daring was greeted by a traditional welcoming ceremony before a busy programme of Defence Industry Sales Day, an evening reception as well as welcoming the First Sea Lord back on board On sailing from Pusan, Daring will participate in a trilateral naval exercise with US and ROK Naval Ships. 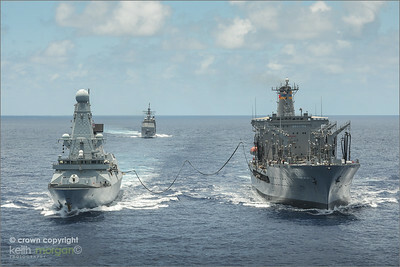 The naval exercise is aimed at improving teamwork and interoperability between the three navies in theatre security cooperation and humanitarian relief operations. All three nations have recently supported the Philippines in the wake of the Typhoon Haiyan. 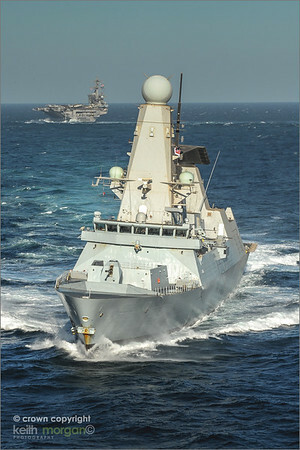 HMS Daring is a Portsmouth based warship and is on a nine-month deployment around the world. She has already clocked up more than 20,000 miles carrying out regional visits and engagements as well as military exercises in the Atlantic, the Eastern Seaboard of the USA, the Pacific, the South China Sea and more recently humanitarian support in the Philippines. 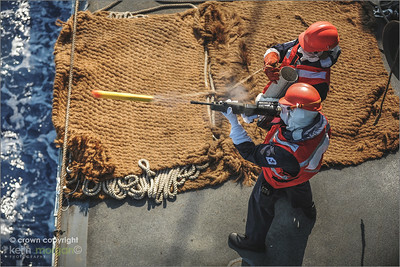 HMS Daring carrying out a photex of USS Carl Vinson (CVN 70). A United States of America Nimitz Class Aircraft Carrier. 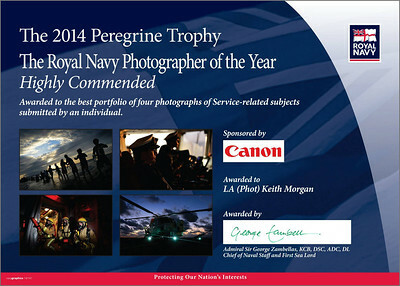 Highly Commended prize in the 2014 Peregrine Trophy. 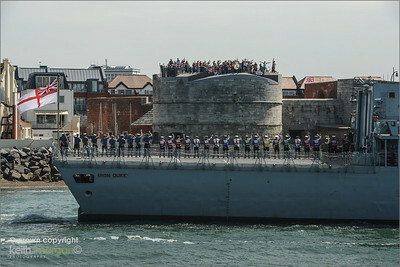 The Royal Navy led a military parade through Portsmouth today (June 24) to mark Armed Forces Day. 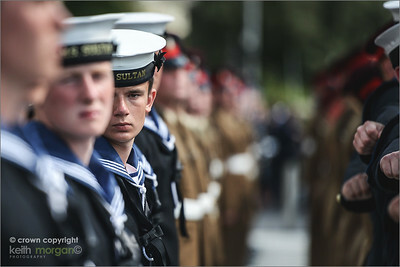 Forty-eight sailors from HMS Collingwood at Fareham, plus veterans and cadets – led by the Royal Marines Band, Portsmouth – marched from St John’s Cathedral in Edinburgh Road to Guildhall Square. 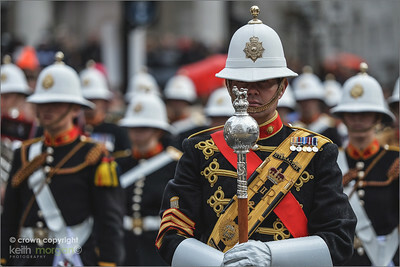 Hundreds of spectators lined the route and assembled in the square to see Deputy Lieutenant of Hampshire, Admiral Sir Jonathon Band, take the salute and inspect the troops. 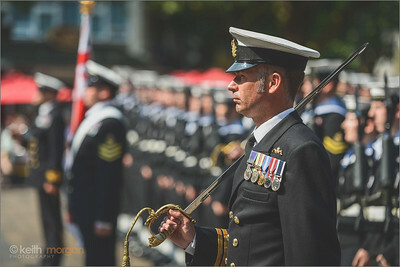 Portsmouth Naval Base Commander, Commodore Jeremy Rigby and Lord Mayor Councillor Steven Wylie inspected the veterans on parade. A short service followed, conducted by Deputy Chaplain of the Fleet, The Venerable Ian Wheatley and Dean of Portsmouth, The Very Reverend David Brindley. 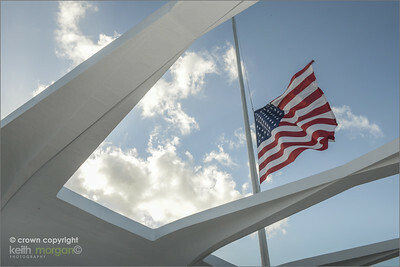 The event culminated in the raising of the Armed Forces Day flag by service personnel, which will fly for one week. 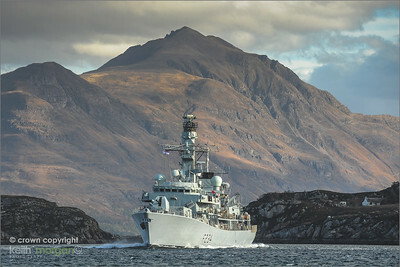 HMS Iron Duke departs Loch Torridon which is located on the West coast of Scotland, North West of the Isle of Skye. 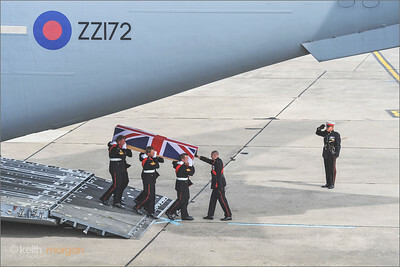 40 Commando Repatriation from Afghanistan in 2010. 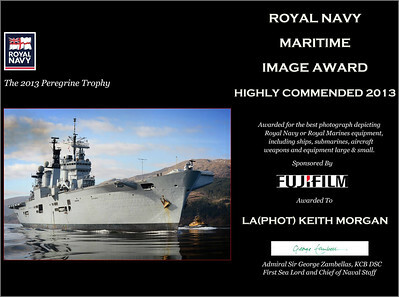 Highly Commended prize in the 2013 Peregrine Trophy. HMS Sutherland Replenishes at Sea (RAS) with RFA Wave Knight to take on fuel for her upcoming Operation off of the coast of Libya to support HMS Ocean with tasking. Today (Saturday 8th November 2014) saw the 2014 Lord Mayor's Show take place in London. The Lord Mayor is Alan Colin Drake Yarrow and is the 687th Lord Mayor of London. 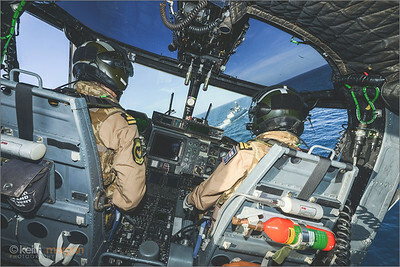 The Show is a very high profile event that the Royal Navy and Royal Navy Reserve have been involved in for many years. In the past after the swearing in at the Law Courts, the Lord Mayor was welcomed back into the City of London by London Division Royal Navy Reserve. 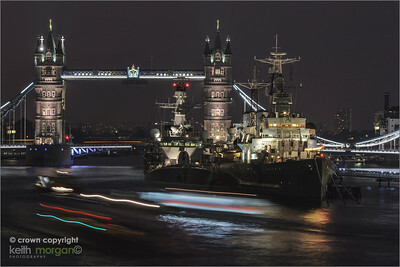 The format has changed over the years as the Lord Mayor made his entrance into the City through HMS President after travelling down the Thames on board the barge, Gloriana, escorted by a flotilla of boats. On arrival the Lord Mayor inspected the Guard and Band before partaking in a tot of rum. 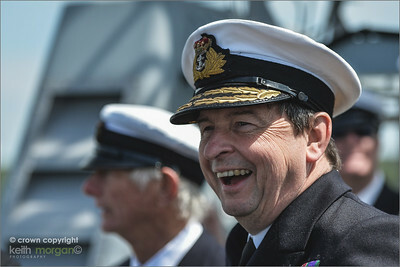 He then departed HMS President to witness the Lord Mayor's Procession. The Lord Mayor's Show has marched (and floated and trotted, and occasionally fought) through 799 years of London history, surviving the black death and the blitz to arrive in the 21st century as what must be the oldest, grandest and best-loved civic pageant in the world.